Marybeth Shinn has research interests in homelessness, community contexts of human welfare, social policy, and social intervention. She is a former President of the Society for Community Research and Action and the Society for the Psychological Study of Social Issues, a fellow of both these organizations and of the Association for Psychological Science, and a former Chair of the Council of Community Psychology Program Directors. She also chaired the Psychology Department at New York University. Professor Shinn has received several awards for her teaching and research, including the Golden Dozen Teaching Award from New York University (2002), Ethnic/Minority Mentoring Award from the Society for Community Research and Action (1997), and the Award for Distinguished Contributions to Theory and Research from the Society for Community Research and Action (1996). She has also served on the National Institute of Mental Health Child/Adolescent Risk and Prevention Review Committee, and twice served as Associate Editor of the American Journal of Community Psychology. Revenson, T. A., D'Augelli, A. R., French, S. E., Hughes, D. L., Livert, D., Seidman, E., Shinn, M., & Yoshikawa, H. (Eds.). (2002). 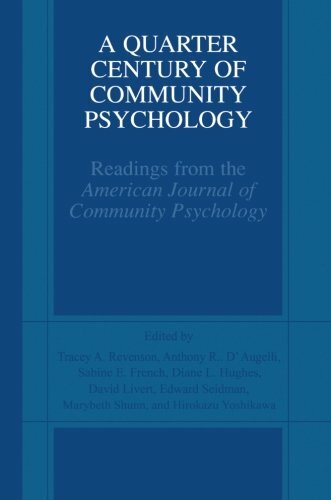 A quarter century of community psychology: Readings from the American Journal of Community Psychology. New York: Kluwer Academic/Plenum Publishers. Revenson, T. A., D'Augelli A. R., French, S. E., Hughes, D. L., Livert, D., Seidman, E., Shinn, M., & Yoshikawa, H. (Eds.). (2002). 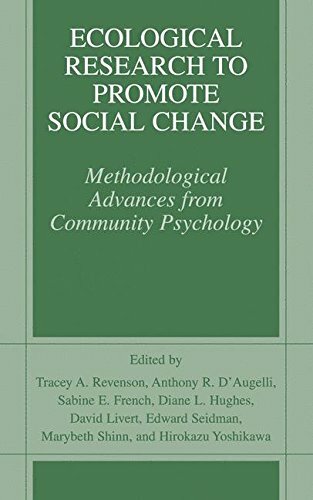 Ecological research to promote social change: Methodological advances from community psychology. New York: Kluwer Academic/Plenum Publishers. Shinn, M., & Thaden, E. P. (Eds.). (2010). Current directions in community psychology. Boston, MA: Allyn & Bacon. Shinn, M., & Yoshikawa, H. (Eds.). (2008). 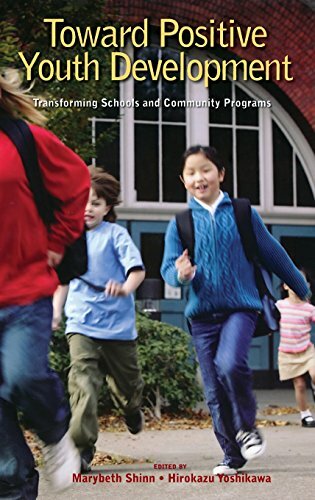 Toward positive youth development: Transforming schools and community programs. New York: Oxford University Press. Hopper, K., Shinn, M., Laska, E., Meisner, M., & Wanderling, J. (2008). Estimating numbers of unsheltered homeless people through plant-capture and postcount survey methods. American Journal of Public Health, 98,1438-1442. Miller, R. L., & Shinn, M. (2005). Learning from communities: Overcoming difficulties in dissemination of prevention and promotion efforts. American Journal of Community Psychology, 35, 169-183. Shinn, M. (2007). International homelessness: Policy, socio-cultural, and individual perspectives. Journal of Social Issues, 63, 659-679. Shinn, M. (2007). Waltzing with a monster: Bringing research to bear on public policy. Journal of Social Issues, 63, 215-231. Shinn, M., Baumohl, J., & Hopper, K. (2001). The prevention of homelessness revisited. Analyses of Social Issues and Public Policy, 1, 95-127. Shinn, M., Gottlieb, J., Wett, J. L., Bahl, A., Cohen, A., & Ellis, D. B. (2007). Predictors of homelessness among older adults in New York City: Disability, economic, human, and social capital, and stressful events. Journal of Health Psychology, 12, 696-708. Shinn, M., Schteingart, J. S., Williams, N. P., Carlin-Mathis, J., Bialo-Karagis, N., Becker-Klein, R., & Weitzman, B. C. (2008). Long-term associations of homelessness with children’s well-being. American Behavioral Scientist, 51, 789-810. Shinn, M., & Toohey, S. M. (2003). Community contexts of human welfare. Annual Review of Psychology, 54, 427-259. Shinn, M., Weitzman, B. C., Stojanovic, D., Knickman, J. R., Jimenez, L., Duchon, L., James, S., & Krantz, D. H. (1998). Predictors of homelessness among families in New York City: From shelter request to housing stability. American Journal of Public Health, 88, 1651-1657. Shinn, M., & Rapkin, B. D. (2000). Cross-level analysis without cross-ups. In J. Rappaport & E. Seidman (Eds. 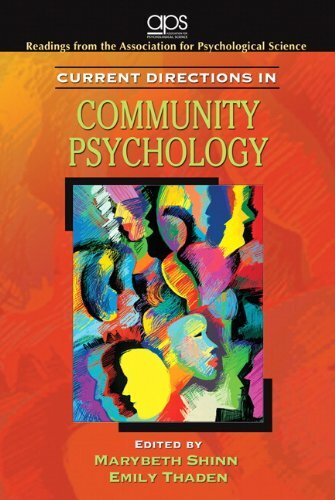 ), Handbook of Community Psychology (pp. 669-695). New York: Plenum.